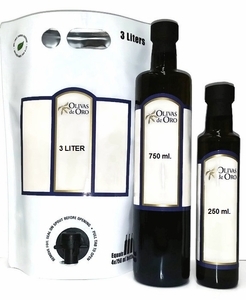 This distinctive extra virgin olive oil is grown utilizing sustainable practices. Select Mission olives are harvested early in the season when they have the maximum aroma and minimum acidity. The result is a robust single cultivar olive oil with a fruity aroma, herbaceous tones, fresh cut grass, tomato leaf and a persistent peppery finish. The flavor stands up to beef, lamb and wild game. Create flavorful marinades and rubs. Use as a finishing oil or on the BBQ. Sorry, We only have this in the 250 ml. size this year due to the limited amount produced.